[ click here ] to view our catering menu. From our 3000 square ft. kitchen in Tribeca, Rosanjin offers a well conceived creative catering and delivery service for clients seeking to host private parties in their homes, party space, and corporate facility. 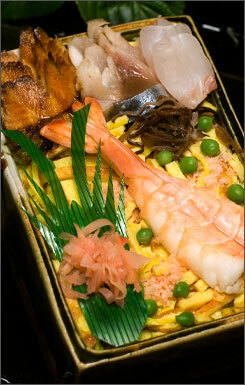 Hosts can select from our existing catering menu featuring a variety of fine Japanese cuisine. We encourage personalized collaborations with our executive chef to determine the most appropriate style and presentation for the event. For hosts who require a special menu, please contact us. We have provided our culinary excellence for private events at locations around New York including the Plaza Hotel, the Essex Hotel, the Soho Grand and the Tribeca Grand Hotel. Rosanjin is also the exclusive sushi provider to Dean & Deluca. For more information, please call 212.346.0664 or send an email to contact@rosanjintribeca.com.